Here are a few challenges some blended families may experience, and how to address them. Despite the many challenges there are ways to ease the transition from two households into one. The first is to be proactive and engage in what psychosocial expert Samson Khoza calls preventative therapy. “People hold on to the past, especially if it’s their comfort zone, so preventative therapy really helps,” Khoza says. Here are a few challenges and how to address them. This is normal, says Cape Town-based family therapist Lindie Pankiv Greene. It takes a while for the children to grieve the loss of the old family unit and for everyone to get used to new ways of doing things. The Arthurs made new family traditions. “The kids felt involved because they were there at the inception of these traditions and took part in forming them,” Songeziwe explains. It’s also crucial to make time to get to know one another. “The new parent needs to show each stepchild they’re interested in getting to know them. Find out what’s important to them and what their hopes and dreams are,” Greene suggests. 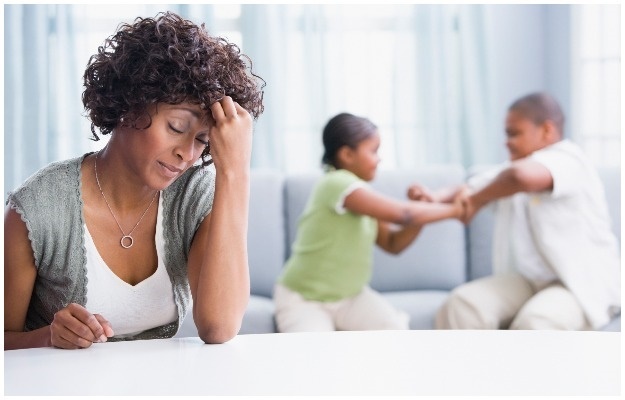 Competing for a parent or stepparent’s attention, feeling jealous of their new step-siblings or even actively disliking them are common issues. Songeziwe faced resistance from her stepchildren at first and Matthew made it clear he feared they’d forget about their mother. They took on these challenges by keeping a photo of Thomas’ first wife in their home and even named their baby girl after her. Given all the challenges a blended family can bring, it’s not surprising the couple’s bond will also take strain. “Children can make or break a relationship and parents can find blending a family hard work,” Greene admits. One possible advantage of a blended family is you might just find time for each other when the kids are with their other parent. This will come into particularly sharp focus when kids need to be disciplined. One partner may be more lenient than the other and the non-biological parent may be faced with the “You’re-not-my-parent!” dilemma. When you’re faced with the “you’re-not-my parent” comment, you can explain that although you’re not their biological parent, you are one of the adults in charge and should be respected as such.